Word on the Quad: What's the weirdest thing you've seen on the job? Word on the Quad: What would you do with the $225,000 excess CC money? 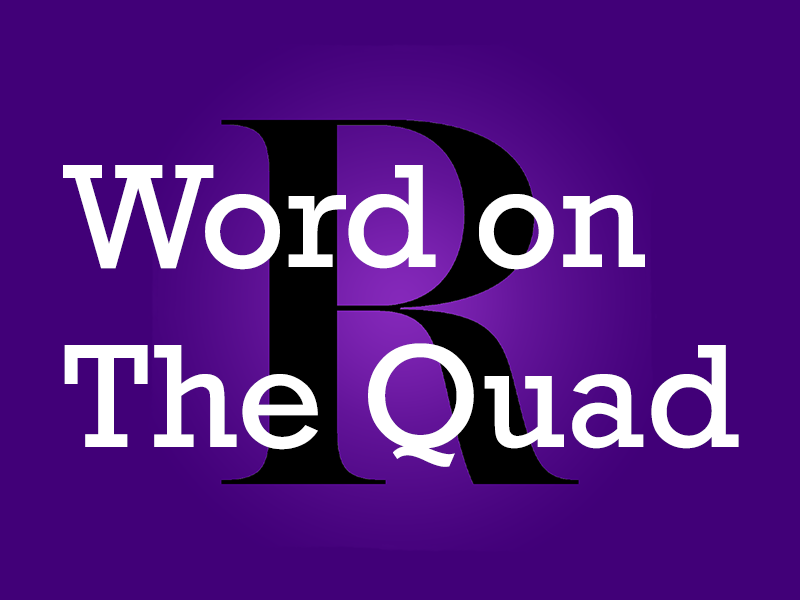 Word on the Quad: What should the wind blow over next? Word on the Quad: Who should have hosted the hostless Oscars? Word on the Quad: If you could elect anybody to CC who would it be? Word on the Quad: What’s your favorite podcast? Word on the Quad: What is the true Williams mascot? Ruth Kramer ’22: “Definitely Maud.” Lance Ledet ’21: “Ephelia wearing a Patagonia fleece in bean boots on Hoxsey. Word on The Quad: If you’d run into Kanye at MASS MoCA, what would you have said? Alumni on the Quad: What’s the craziest thing you never got caught for at the College? Word On The Quad: If the entrance to the underworld was on campus, where would it be?